Advertising themselves as the number one German tool distributor in the United States, KC Tool Company is an online clearinghouse of sorts for high-end and highly calibrated German hand and power tools. Importing power tools from all of the top German brands, KC Tool Company sometimes represents the only place that US-based customers can order these tools outside of importing them from Germany themselves. Many of the tools are available at wholesale or close to wholesale prices. 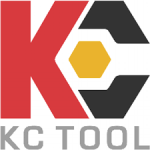 KC Tool Company Rewards members can sign up for a free account to get a 15% off coupon code good towards their first purchase, as well as presale opportunities and advanced notification about upcoming promotions on the site.